For every business it is now vital to have website as website is the best means of communication between your company and your customers. If you have not yet designed your company website you probably lose your potential business and customer. Don't worry you are in the right place, if you want to a good & attractive website designing company in Mumbai, Website designing in Pune, Website development in Bangalore, Website designing in USA, Website designing in UK etc then 2Soft Solutions, Mumbai is one of the companies you can rely upon. We are one of the professionally managed Website Designing Company in Mumbai can deliver the best web services entirely based on your budget. Let us know your requirements and we will design the best customized solution for your company. 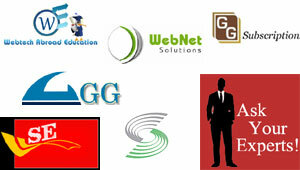 We have expert skilled resource for Logo Designing, Website Designing. If you still looking for designer, Contact us for FREE Consultation.